Having a good location for your business is vital but choosing the right place could be something of balancing act. Ideally speaking, the place of business should be convenient. Not only for your customers and employees but as well as your suppliers without being spending too much cost. And as commercial removalists insight, a business owner should weigh up the advantages and disadvantages. Before selecting the right place for their business, you should consider the key factors in choosing the right place for your business. Considering the style of your business operation is important for your business branding. Thus, your location should be consistent with the particular style and image of your business operation. This means that if your business is retailing you may ask yourself if you want a traditional store. Or would you like to try operating from a booth in a mall? What about a cart that can be a move to various location? Do you need a storage for your business or a warehouse to store your stacks? Well, it is important to distinguish your way of operating your company. So, you decide if you are in the right place to move your business. Demographics has two important part to consider for an effective place selection. First, consider who are your target customers and how important their proximity to your selected area. For retailer and some services providers, the demographic is critical. Whilst for other types of business it might not be as important. Hence, this demographic profile that you have may help you make the right decision. The same goes for observing the community of your prospect place. Make sure to check the percentage of the population. And see if it matches to your target customer profile to support your company venture. Does the community have a stable economic potential that could provide a healthy environment for your business? Well, you need to be cautious. In considering the community that you want to move in before you ask commercial removalists to move. This is very important. Is the place you are about to select has competing business located nearby? Well, sometimes it’s good in industries where comparison shopping is popular. Since you may catch the run-off from the existing businesses. Particularly if you are located in a restaurant and entertainment area. But if a nearby competitor is going to make your marketing plan tougher, then better look for somewhere else. If you’re targeting a local market. Be sure your area is accurately reflecting the image of the company you want to project. Thus, it is good to check the historical background of the site. And consider how it evolved over the years. Before moving your office or business to the location. You need to find out if there are any ordinance and policies that could affect your business in any way. Check for a specific area that fits the nature of the business operation. After all, you probably don’t want a liquor store opening up next to your day-care centre. Likewise, commercial removalists suggest doing extra research to avoid this type of problem. Ask the local authorities about the area’s policy. And evaluate if this policies and ordinance will not affect the business as you move. 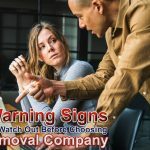 Whilst a perfect business location is different for every other business, according to most commercial removalists expert, taking some extra time to cover all these crucial areas that need consideration will certainly give you the best chance of beating odds of selecting the wrong business place. Thus, this will help you keep track for a successful business future. Likewise, following the above commercial removalist insights will help you go through along the run. After all, the place has a major impact on business costs. All you have to do is to make reviews and justify things if it’s reasonable or not. Looking for a moving company for your business move? Business Relocation Services is the best solution for you. Call us today. And learn more about the variety of relocation and removal services we are offering only just for you. 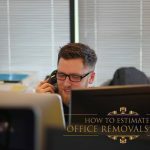 Read more: How to Estimate an Office Removals Costs.